It’s Halloween! Time to be scared, to wear terrifying costumes and to eat candies. But, besides all these you can take advantage of this holiday to take some marketing actions and gain visibility and sales. First of all, you have to think carefully on your target and on the kind of business you have. Remember that you have to maintain a brand consistency and to be faithful to your values and to your core messages. In conclusion, you have to be coherent. Design some banners and make a special offer or a promotion: You can pay for adds online with banners related to this holiday and you can offer a special discount or a special package of your products. Write a post linking this festivity with your business like I’m doing now with this post: for example, if you have a restaurant you can publish a post with recipes related to this festivity. Or, if you have a photography store you can publish a post giving advices on how to make great photos that night. Design special headers for social media: You can disguise your social media changing the header and even the photo profile. I designed my own headers, take a look to my facebook. Don’t change completely your graphic style. I advice you to simply adapt your graphic style to this special ocassion, if not, you won’t be graphically coherent. As you can see, I design a special header but I maintain the basic layer of diamonds that is characteristic of my brand, I changed the colour and added some icons related to Halloween, but I didn’t change it completely, because when people will see my header I want them to say: oh, yes, this is sabrina couto’s profile. And this will happen because there are some common elements between this header and my corporate header. If you change the design completely, people won’t identify the header with your brand. This can be done in different ways, if you have a geometric pattern like me, you can simple can adapt this pattern to the special occasion. But if you have a photo, you can follow the photographic characteristics, for example, if you have a close-up, you can put a close-up photo or photomontage related to halloween. 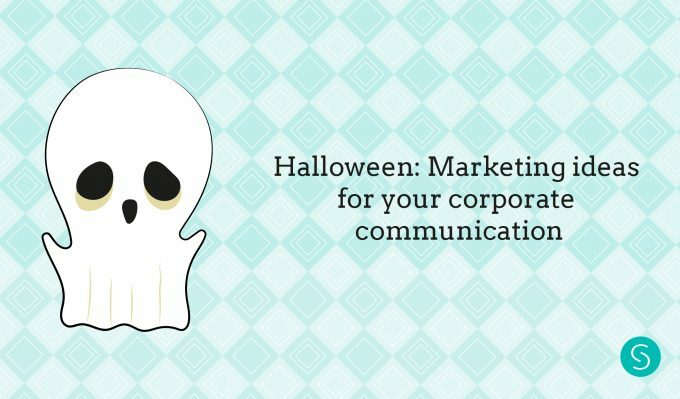 If you have some illustration, you can design an illustration related to Halloween but following the main characteristics of your corporate illustration. Decorate your website: you can design a header (like on social media), or you can put small decorations around your website. Don’t overload it, only make small winks to Halloween. Design graphics for social media related to this holiday to publish on 31, October or during this week: for example, you can design some graphics giving advices for that night, or giving interesting facts about the festivity, or simple wishing a Happy Halloween to all your followers. Design some infograpchics: this is related to the previous idea. You can design an infographic talking about something special of this day. Remember that infographics have a lot of engagement and people love them, so it’s a good idea. Share your human side: On October,31 you can share a photo of your custome or / and your employees customes. If your company host a party, share photos on social media and talk about it! People are very gossip, so they will love this kind of content. Make a competition: for example give a price to the best scary photo, or the best recipe, or the best make up. There are thousands of actions that you can take on this holiday but these are some that almost any kind of company can do. Now, if you want to have success with these actions you have to choose the correct keywords. To choose the best keywords you have to make a research based on your kind of business, target and location. 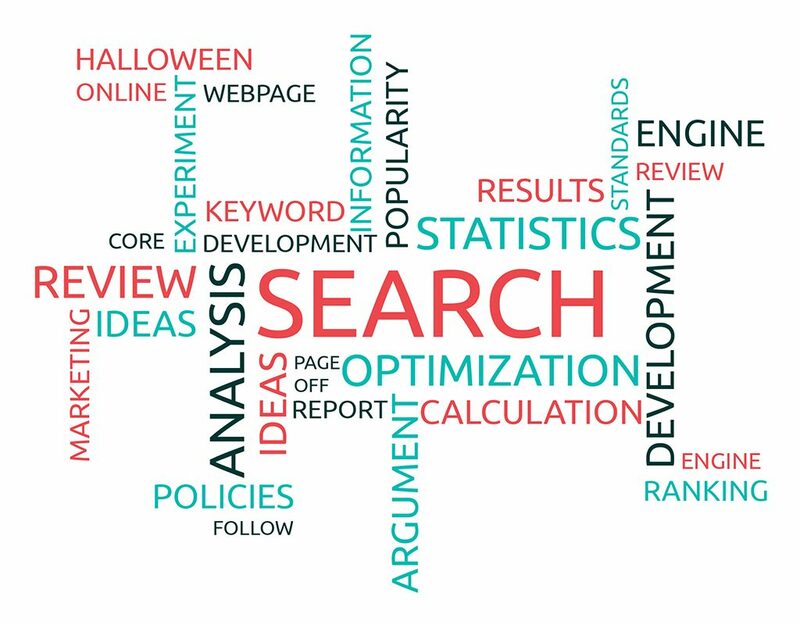 With the result you have to choose the keywords that have more searches but less competition, so it will be easier to have a good position on Google. These are only few keywords most searched according to my research in Europe. I advice you to make your own research based on your kind of business and your location. However, this can give you some general idea of what kind of keywords you should choose. Are you going to take any kind of commercial action during this week? Let me know in the comments.